The digitalization of markets sets the stage for the evolution of new e-commerce platforms, sales channels, and services. Academic research accompanied this evolution with plentiful insights on advice for the best practices of business models. However, the multitude of propositions and the increasing environmental dynamism awakened a certain degree of uncertainty about the design and management of those businesses. Frequently, the success of digital businesses depends on their listings in search engine result pages (SERP). These result pages represent more than pure information and frequently build awareness and push brand strength. Unfortunately, SERPs are frequently affected by changes in the particular search algorithms, such as the mysterious Panda updates by Google. In the consequence to these updates, some businesses suffer immediately while others experience stable traffic or even benefit from these changes. Search engines have developed from a disregarded mediating role into one of the most prominent pages on the web. Today, they represent the gate to the Internet in the presence of multitudinous forums, platforms and shops. More than half of all visitors to websites arrive there from search engines rather than through a direct link. Consequently, search engine advertising (SEA) becomes increasingly important. This channel will soon capture a lion’s share of the online advertising pie. The importance of search engines increases, furthermore, with the spill-over of branding effects and customer trust in the ranking of SERP. The rank of web pages in the search results influences directly consumer click behavior. Studies have shown that users have even more trust in organic listings with higher conversion rates than in SEA campaigns. Consequently, companies push the rankings of their websites higher in organic search results through different techniques of search engine optimization (SEO). However, these SEO activities are frequently equalized by adjustments in search algorithms. These changes are made for ambiguous purposes, such as technological improvements or for suspending low utility pages. Nevertheless, each adjustment changes the SERP and the related branding and transaction cost effects. 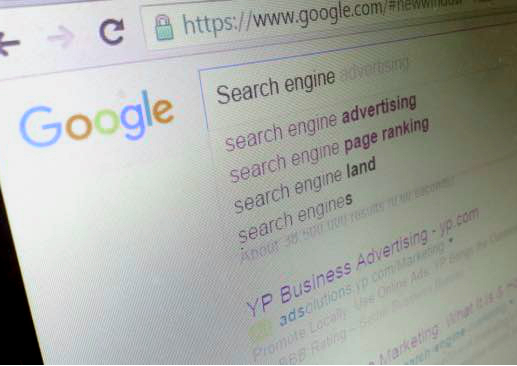 Search engines grew to support the access to the enormous information on the Internet by crawling, retrieving, and presenting relevant information to the users based upon their search algorithms. These engines thereby directly impact on the user’s search costs which represent one aspect of the costs involved in online transactions of e-commerce business models. Transaction costs are one if not the critical factor that companies doing business over the Internet try to reduce. Besides information costs, search engines also affect agency costs and transaction uncertainty. Agency costs emerge in the presence of various vendors that seem to offer nearly the same product or information. Unknown brands benefit in the presence of assimilation effects that stipulate users to reshape their perceptions and elevate unknown brands along the primed brand attributes. In these cases, changes in the ordering of search results can simply change transaction partners. This randomness of customer choices creates a certain level of transaction uncertainty for digital companies. Online businesses can not rely on certain click-through and subsequent conversion rates of customer arrivals from SERP. Therefore, adjustments in search algorithms represent a substantial risk to those business models that mainly rely on conversion from SERP.